Members of Congress are in an unusual position as they demand an explanation for Mylan’s 400 percent price hike for the EpiPen and focus attention squarely on its CEO: Heather Bresch. If lawmakers follow the usual script, Bresch could get called up to Capitol Hill next month to explain her company’s justification for raising the price on the life-saving allergy shot. But that could be awkward, since she’s the daughter of Democratic Sen. Joe Manchin of West Virginia. While Bresch’s family ties may mute the ire of some lawmakers, others already are asking the company about taxpayers having to foot the bill for these price increases — particularly after Bresch and the company successfully pushed legislation to encourage use of the EpiPen in schools nationwide. Mylan is the latest drugmaker to provoke congressional ire for steep price hikes. Martin Shkreli and executives from the company he used to lead, Turing Pharmaceuticals AG, and executives from Valeant Pharmaceuticals International Inc. were called before congressional committees earlier this year to explain why they bought the rights to older drugs that lacked competition and raised the prices. The Mylan controversy fits a similar pattern. Mylan has increased the price of its EpiPen from about $57 a shot when it took over sales of the product in 2007 to more than $600 for two auto-injectors. But the company’s EpiPen is a more mainstream drug used to treat life-threatening allergic reactions from bee stings, food allergies or other triggers, which could give the issue a larger constituency. Mylan declined to comment when asked to explain the price hike or Bresch’s role in promoting legislation. Manchin’s office also didn’t respond to requests for comment. Members in both chambers expressed outrage this week. “I am deeply concerned by this significant price increase for a product that has been on the market for more than three decades, and by Mylan’s failure to publicly explain the recent cost increase, which places a significant burden on parents, schools and other purchasers of the EpiPen,” Sen. Mark Warner, a Virginia Democrat, said Tuesday in a statement, noting that he is a parent of a child with severe allergies. Sen. Richard Blumenthal, a Connecticut Democrat who has asked the company to lower its prices, is holding an event on Wednesday where he will call for investigations by the Senate Judiciary Committee and the Federal Trade Commission into potential antitrust violations and deceptive and illegal trade practices. Congressional anger may be fueled by the company’s tactics in pushing legislation that helped boost the use of EpiPens. Mylan spent about $4 million in 2012 and 2013 on lobbying for access to EpiPens generally and for legislation, including the 2013 School Access to Emergency Epinephrine Act, according to lobbying disclosure forms filed with the Office of the Clerk for the House of Representatives. Mylan also was the top corporate sponsor of a group called Food Allergy Research & Education that was the key lobbyist pushing for the bill encouraging schools to stock epinephrine auto-injectors, of which EpiPen is by far the leading product. But Bresch’s connections to Capitol Hill already have some lawmakers tiptoeing around the usual Washington blame game. However, in an interview Tuesday, he was less eager to talk about Bresch herself or the prospect that she might soon be testifying to the committee. 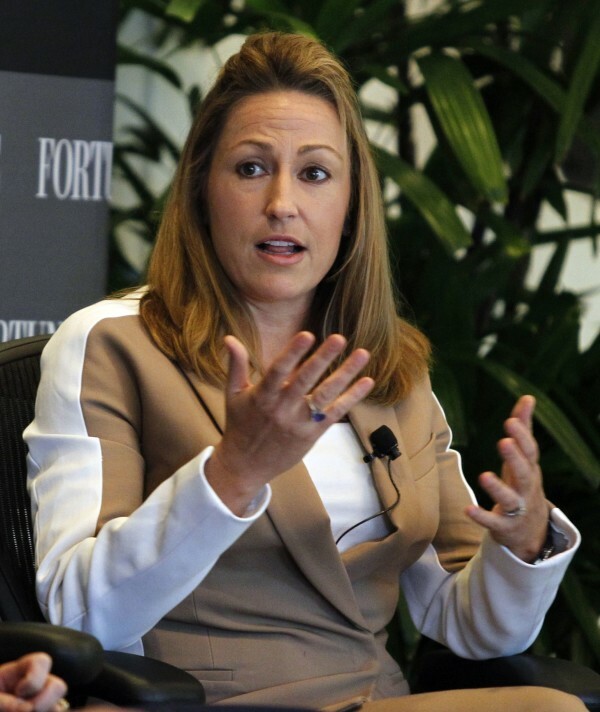 Bresch, 47, has been CEO of Mylan since 2012 and previously held other senior posts at the company, including as head of government relations. Last year, she had to defend the company after it moved its corporate address overseas to lower its U.S. taxes in a transaction known as an inversion. Now incorporated in the Netherlands, its principal executive office is in Canonsburg, Pennsylvania. Ross Baker, a political scientist at Rutgers University in New Jersey, said Tuesday that he assumes Bresch’s father, Manchin — who is not on the Judiciary Committee — would recuse himself “and put a lot of distance between himself and any investigation” into the matter. “He’d be unwise to rise to the defense of Mylan,” Baker said. Senate Judiciary Chairman Chuck Grassley of Iowa, who is running for re-election, also wrote a letter to Mylan saying he was “concerned that the substantial price increase could limit access to a much-needed medication,” asking for an explanation by Sept. 6, the day the Senate returns from its seven-week summer recess. Jill Gerber, Grassley’s spokeswoman, said in an email that he wants to hear back from Mylan before considering holding a hearing. Mylan has given away more than 700,000 free EpiPen’s to schools since 2012 under a program that allows them to receive four free auto-injectors, the company said in a statement. Yet schools have to use their own funds to purchase additional pens. Mylan declined to comment on the price increases coinciding with legislation to encourage EpiPen use. Sen. Amy Klobuchar, a Minnesota Democrat, asked the Federal Trade Commission on Monday to look into whether Mylan had done anything to deny competitors access to the market in order to keep raising prices. She pointed to a competitor product, Adrenaclick, that she said is less expensive but has only minimal sales. Klobuchar was also a co-sponsor of the schools bill. In the House on Tuesday, majority and minority staff members of the Oversight and Government Reform Committee held a meeting after receiving a letter from Representative Grace Meng, a New York Democrat, requesting the panel hold a hearing. The majority staff scheduled a call with the company, though Democrats on the committee said they were waiting to hear back on whether a hearing will be scheduled. A spokeswoman for committee Chairman Jason Chaffetz of Utah, said that as of Tuesday afternoon no hearing was scheduled. “And no comment beyond that,” said the spokeswoman, M.J. Henshaw. The top Democrat on the Oversight Committee, Elijah Cummings of Maryland, said Tuesday that he wants a hearing when lawmakers return from their summer break to Washington in September. “The recent price increase for EpiPens places a financial burden on those who desperately need this drug to prevent life threatening allergic reactions, which is why we have expressed our desire for an investigation of this issue and for the Committee to hold a hearing in September,” Cummings said Tuesday in a statement. Cynthia Koons contributed to this report.